24 Hr. Local Garage Door Service and Repair. Free Estimates on all repairs ensures that you are not obligated to move forward with any service until you desire. Roseville Garage Door Repair was founded in 1999 and has been serving Sacramento, Yolo, Placer & El Dorado counties ever since. We are locally owned & operated, licensed, bonded, and insured. 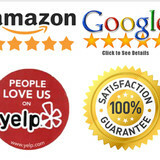 Our technicians are professional, hard workers & kind, with years of experience under the belt. We will ensure you understand the process of the repair from A to Z, and will not do anything without your permission. We offer the following services: Garage Door Repair New Garage Doors Garage Door Openers Broken Springs Out of Track Doors Panel Replacement Broken Cables Broken Rollers Bent Tracks Noisy Door Silenced Remotes & Accessories Child Safety Systems Safety Inspections And many more! 24/7 service~ Emergency Service~ Same day service guaranteed. Offers efficient garage door services in Placerville, California, from broken spring replacement to garage door cable repair and garage door opener installation. 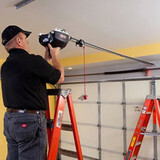 Repairs and installs all garage door parts of any brand. Garage Door Repair Antioch carries the best bands and it is experienced with genie opener repairs. Best contractor in California. Garage door company in Walnut Creek, California offers different solution for garage door problems. Services include repair of broken garage door cables, garage door clicker, and garage door opener repair. What types of garage door service tasks do contractors in Rancho Cordova, CA provide? A damaged garage door can lead to increased security risk, ruined belongings and an unpleasant exterior, so look for Rancho Cordova, CA repair professionals who provide same-day or emergency services if the damage is extensive and poses a potential health and safety risk. Find Rancho Cordova, CA garage door repair professionals on Houzz. Narrow your search for garage door repair professionals by selecting the nearest city or zip code. Look at portfolio and product photos, and read reviews to find the best garage door contractors in Rancho Cordova, CA for your home.